Dollar Tree is under investigation and currently facing OSHA fines nearing $360,000 for egregious worker safety violations. According to the federal Occupational Safety and Health Administration (OSHA) reports, the company was initially investigated after numerous safety complaints. In one location, authorities identified a minimum of four violations that created dangerous working conditions. The severity of these workplace dangers sparked a nationwide investigation. OSHA is the agency responsible for ensuring that businesses and corporations are in compliance with federal safety regulations. The agency is also charged with enforcing regulations through routine inspections and investigations, and can impose penalties. In many cases, a business will be inspected after an accident or injury. Fortunately, in this case, no workers were reported harmed prior to the investigation. Our workplace accident lawyers are committed to raising awareness to protect worker rights and safety. We are also staunch advocates for injured workers and their loved ones and will explore every opportunity to collect compensation after an accident. Inspectors reported that the Dollar Tree store “willfully” failed to keep exit routes clear and stored materials in an unsafe and unstable way. The store also failed to follow protocol involving storage near electrical equipment and failed to properly secure compressed helium gas cylinders. Dollar Tree was initially investigated and cited at a store location in Montana, but the problems sparked a nationwide investigation. In total, the violations could cost the company $217,000 in fines. Local OSHA authorities contend the employer has a long history of ignoring basic safety standards and regulations. The investigators pointed to a pattern of intentional and complete disregard for employees who were repeatedly exposed to highly dangerous conditions. According to OSHA representatives, employers have a duty to ensure that their workers are safe and Dollar Tree has continued to fail at protecting employee health and safety. 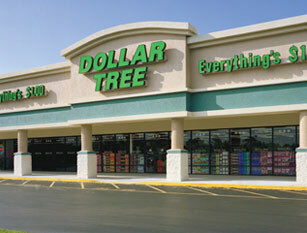 Despite the wide range of allegations involving stores nationwide, Dollar Tree has continued to contest the citations and the fees. According to a spokesperson for the retailer, the company has strived to maintain a safe working environment for its employees. In addition to the multiple violations in Montana, OSHA has also given the retailer citations for another three violations that occurred in Delaware. According to the investigators, the second Dollar Tree location also had blocked emergency exits, improperly stacked boxes, and failed to ensure that employees could easily reach fire extinguishers in the event of an emergency. Combining the Montana citations of $217,000 and the additional Delaware citations of $143,000 (and an additional $3,000 for serious dangers), the retailer is now facing penalties of over $360,000. Employers, especially nationwide retailers, must be responsible for workplace safety. As a regulatory body, OSHA aims to curb dangers in the workplace and to hold employers accountable for dangerous working conditions. In the event of a workplace injury, accident, or wrongful death, victims or their families should contact an experienced work-related injury attorney to review the facts and evidence and pursue every available legal remedy, including third-party claims and workers’ compensation benefits. Addressing Nail Gun Safety to Protect Boston Workers, January 22, 2014.